Hi Beautiful Goddess’s! Thank you so much for stopping by my website, it is very much appreciated! 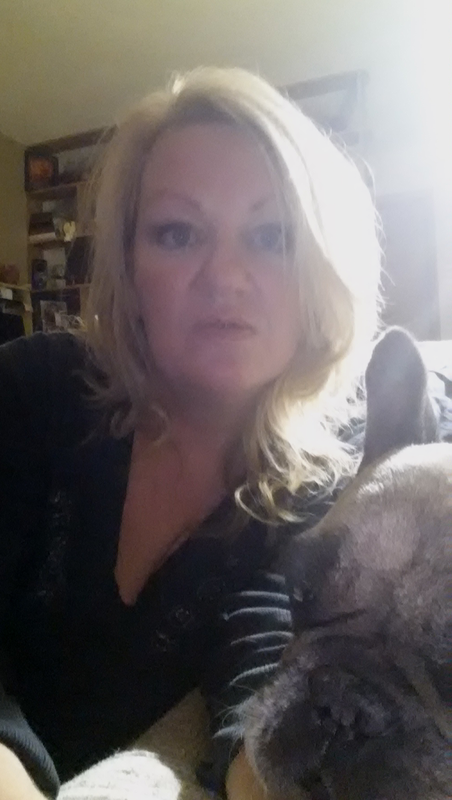 I am Ms. Heidi Kelley, I live in Verona, WI, USA, with my rescued, French Bulldog Mr. Beefy Beefcake. I am a divorced mother of 1 adult son who lives nearby. I have been on a spiritual journey for many years, but in recent years it has become a passion of mine. A little of my history…I was married at 19 to a man ten yrs older than me. This is the first time I can truly remember not following my intuition. I knew I shouldn’t be doing it, but I went against what everything inside me was saying and I did it anyway. I am very close to my family, but was disowned for a short time because of this. I was also brought up that ‘No Kelley will ever get a divorce!” So I stuck it out for 13 yrs. I kept ignoring signs from the Universe telling me to get out….so…. by the time I was 31 I had two heart surgeries…..talk about your wake up call….my heart chakra was literally shutting down! Within the year, I finally was able to gather enough self-esteem, courage, love for myself and son to ask him to leave. This was the beginning of my spiritual journey….the journey of loving the woman I have become. As a child I used to see and be touched by spirits, I could see lights, energy etc, but I never questioned what was going on or told anyone about my experiences until my early 40’s. I went basically 40 yrs not expressing to anyone what I was truly about, my authentic self. I felt very conscious about standing out, setting myself apart from others. I didn’t want the attention; I was very shy and reserved. Over the years I let my light dim, like many other women growing up. I lacked confidence and found comfort in my own inner world. After my divorce, my confidence grew. The more I did inner work on my spiritual journey, the brighter my inner light became. I finally had the confidence to tell my friends and family about my childhood experiences in 2010. Ever since then, my life has completely changed. Over the last few years, I became an Energy Healer, a Soul Coach, a Reiki Master and I do Energy Clearings on homes and businesses. I opened Heidi’s Healing House where I work directly with a client’s energy. I have also discovered and been guided to many spiritual things on my own. I am the organizer for Living the Law of Attraction, Mind, Body, and Spirit, Meetup Group in the Madison, WI area. I am living my true life’s purpose and love it. Throughout my journey, I have assisted others along their life’s path; especially women. I realized this was the next part of my soul’s path was to help, encourage, guide other women to also Illuminate Their Inner Goddess! To find their true passions, to develop their confidence and to bring out Your Beautiful Inner Goddess! Let Your Light Shine, Let your Love Light Shine! I look forward to hearing from you, getting to know you and help you along your soul’s journey to discover that Inner Goddess in YOU! Could I just drop the money off at your?